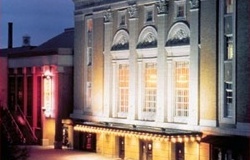 Durham, North Carolina, the City of Medicine U.S.A., is located about halfway between the Blue Ridge Mountains and the pristine beaches of North Carolina's Outer Banks. With 196,000 residents (235,000 in the County), Durham ranks fourth on the list of largest cities in the state, yet still maintains the friendly character of a small town. Both residents and visitors alike enjoy the host of cultural, historical, educational, and natural amenities that Durham has to offer. Durham County enjoys an economic base that is diverse and growing. The County is located at the apex of the vast Research Triangle Region, centered among the cities of Durham, Chapel Hill, and the state capital, Raleigh. 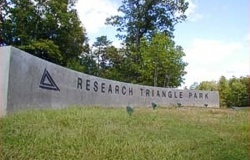 These three anchors encompass the world-renowned Research Triangle Park (RTP). RTP, located primarily in southern Durham County, is the world's largest and most successful university-related research and development business park. The City of Durham, the only municipality within Durham County, is known as the "City of Medicine" because of the cluster of healthcare, biotechnology and pharmaceutical companies that thrive in the Greater Durham area. Duke University, consistenly ranked among the nation's top-10 universities, as well as North Carolina Central University, are both located in the City of Durham. Duke University Medical Center is recognized as one of America's top health care providers. Why do people make Durham their home? Our reasonable cost-of-living, quality schools, first-class health care, plethora of sports, arts, entertainment and shopping options, and an abundance of the natural beauty typical of the Carolina piedmont all contribute to the high quality of life that "Durhamites" enjoy. Our diverse community makes us a cultural gem in North Carolina, while our diverse and growing economic base continues to attract new investment from all over the globe. The presence of several colleges and universities, as well as the many high tech, biotech, and research based companies make Durham a great place for spin-offs and entrepreneurial start-ups. Simply put, Durham is just a great place to live, work, and play! We think Durham is a very special place. To help you learn more about our home, here are some helpful sites.